Comment field cannot be left empty. Name field cannot be left empty. Thank you! Your comment has been submitted successfully. You should be able to view your question/comment here within a few days. Error submitting comment. Please try again momentarily. 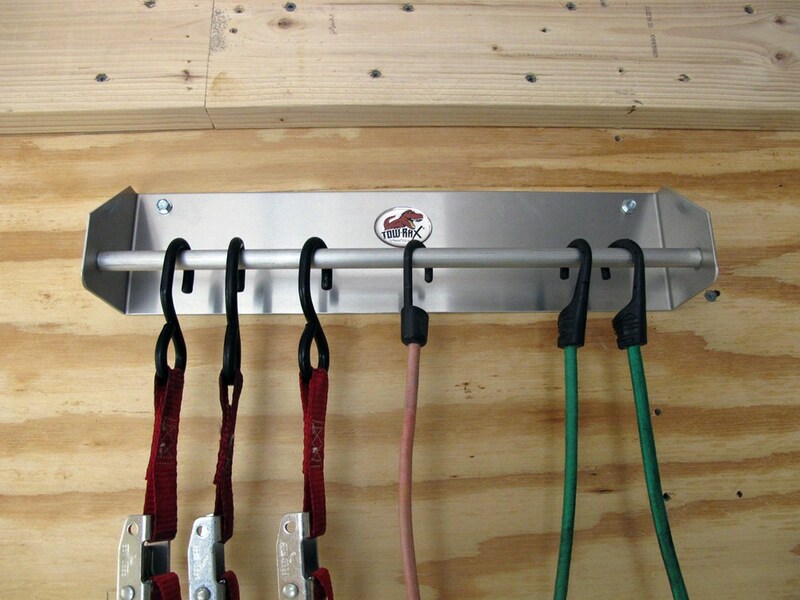 Easily store straps and tie-downs by simply hooking them onto this rack. 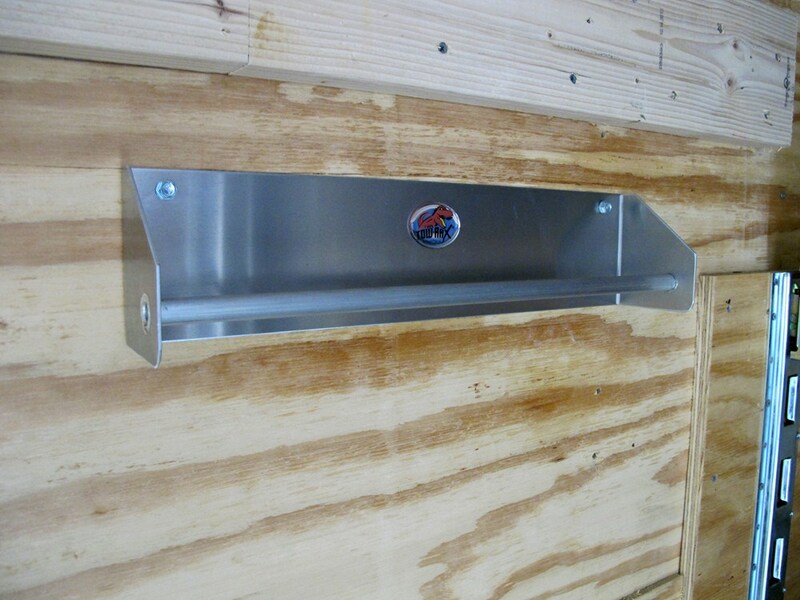 The 9/16" diameter bar provides a sturdy hanging point for virtually any kind of strap or hook. Lowest Prices for the best trailer cargo organizers from Tow-Rax. 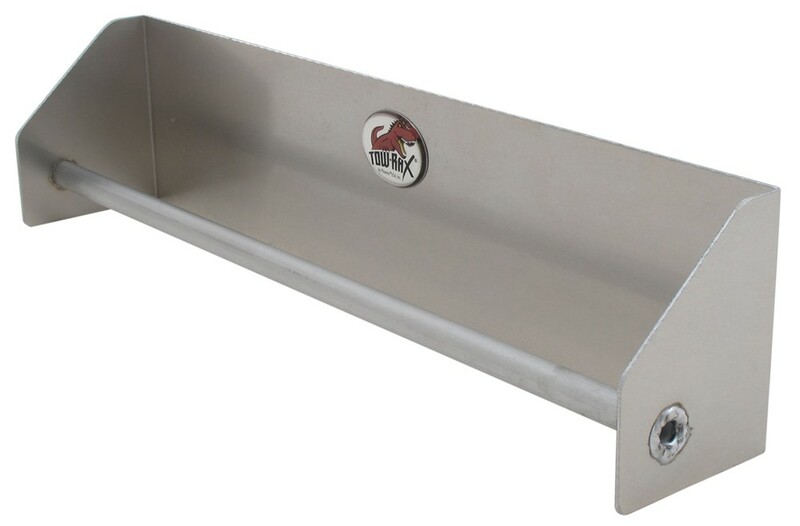 Tow-Rax Strap Hanger - Aluminum - 17" Long x 4-1/2" Tall x 3" Deep part number TWSP25SHA can be ordered online at etrailer.com or call 800-298-8924 for expert service. 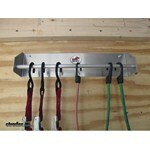 Easily store straps and tie-downs by simply hooking them onto this rack. 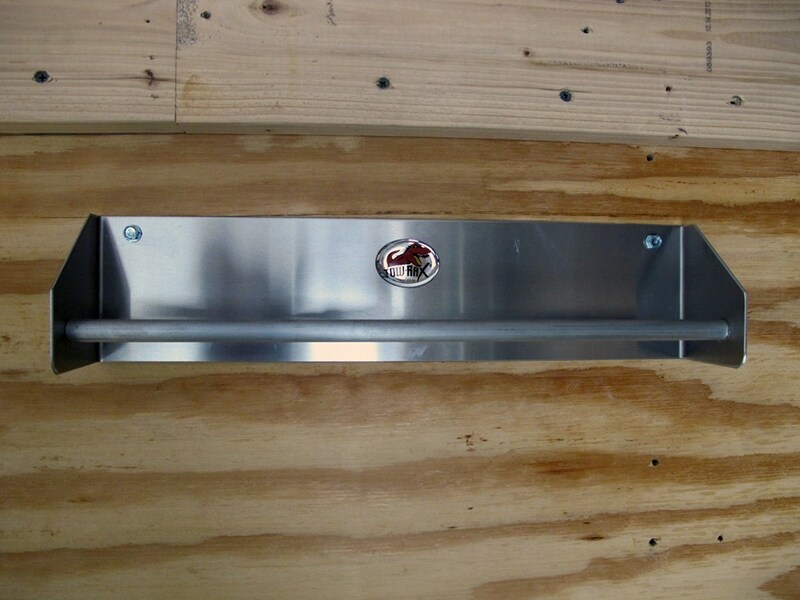 The 9/16" diameter bar provides a sturdy hanging point for virtually any kind of strap or hook. CargoSmart Utility Track Bag for E-Track or X-Track - 22 Liters - 24" x 14" x 4"
Videos are provided as a guide only. Refer to manufacturer installation instructions and specs for complete information. Today, we're going to be taking a look at the tow rack aluminum strap hanger, part number TWSP25SHA. 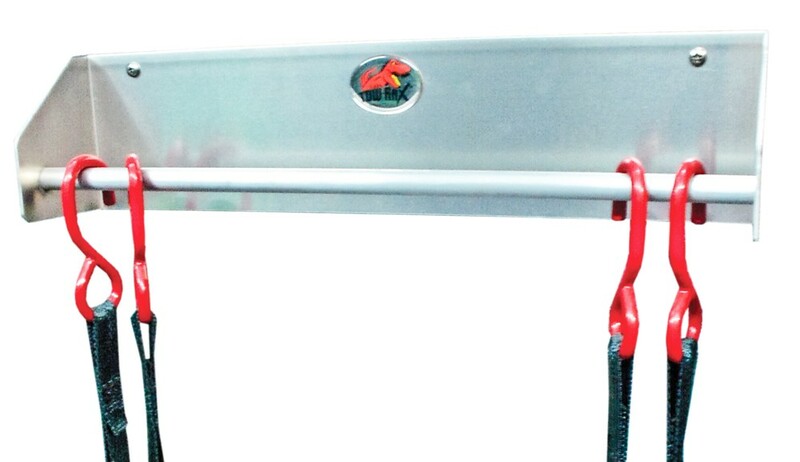 Here's what our tow rack strap hanger looks like. This rack here, you can use it for cinch straps or cam buckle style straps such as these. We've all run into it where you take a bundle of these and you just happen to throw them on the ground and they're all tangled up and it takes you a few minutes to get them undone. By using to tow rack strap rack, they're always nice and neat and organized. You can also hang things on that such as just simple bungee cords. That works great for those as well. As you can see here it gives a nice clean appearance. Helps keep things nice and organized so when you need them they're ready to go. The rack itself measures 17 inches long, 3 inches deep, and 4 1/2 inches tall. When you get your strap hanger, you will need to drill a couple holes in it which we've already gone ahead and done in order to mount it. This will be completely solid. There will be no holes in it when you receive it. 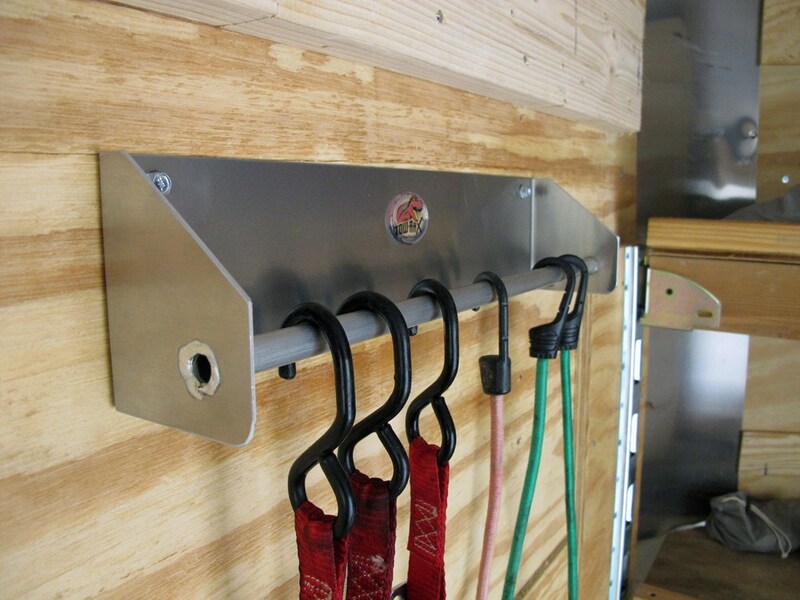 We went ahead and drilled our holes to line up here on our enclosed trailer wall. 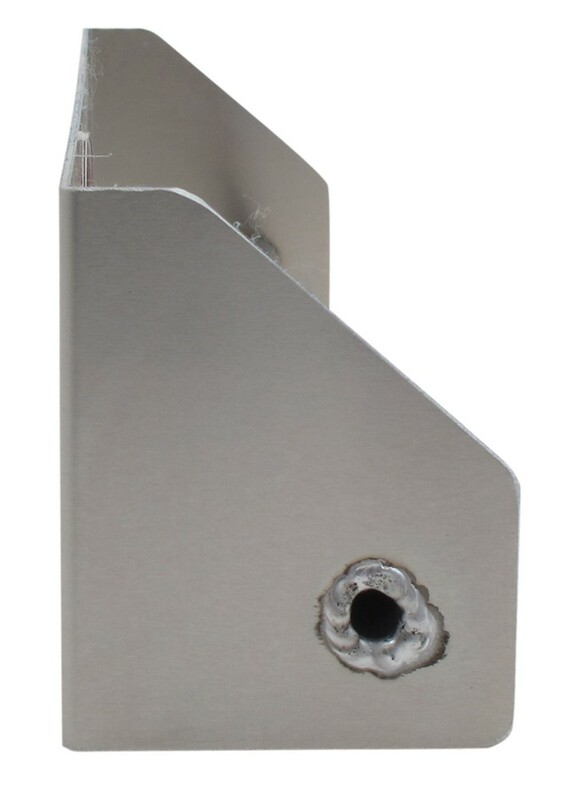 You can drill the holes anywhere along this back side depending on your particular mounting location. 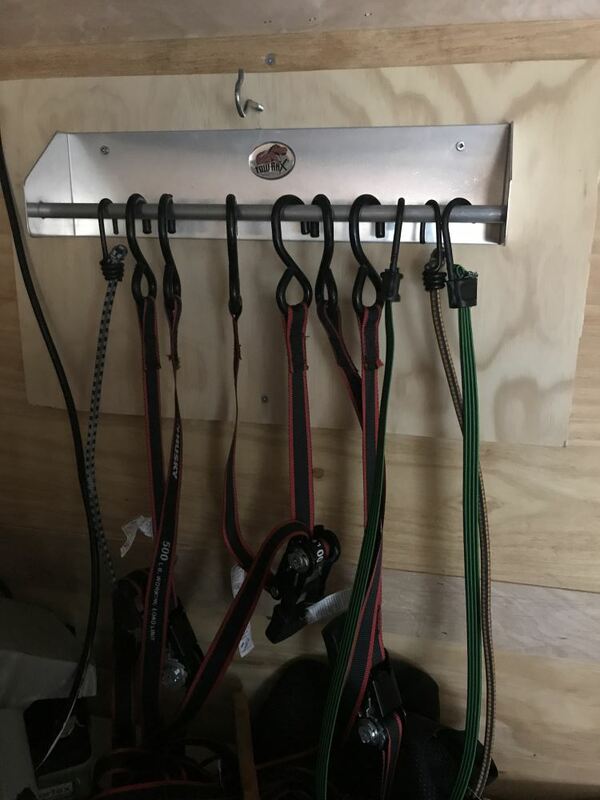 That will do it for our quick look at the tow rack aluminum strap hanger, part number TWSP25SHA. .
Order: RelevanceNewestRating - High to LowRating - Low to High Easily store straps and tie-downs by simply hooking them onto this rack. 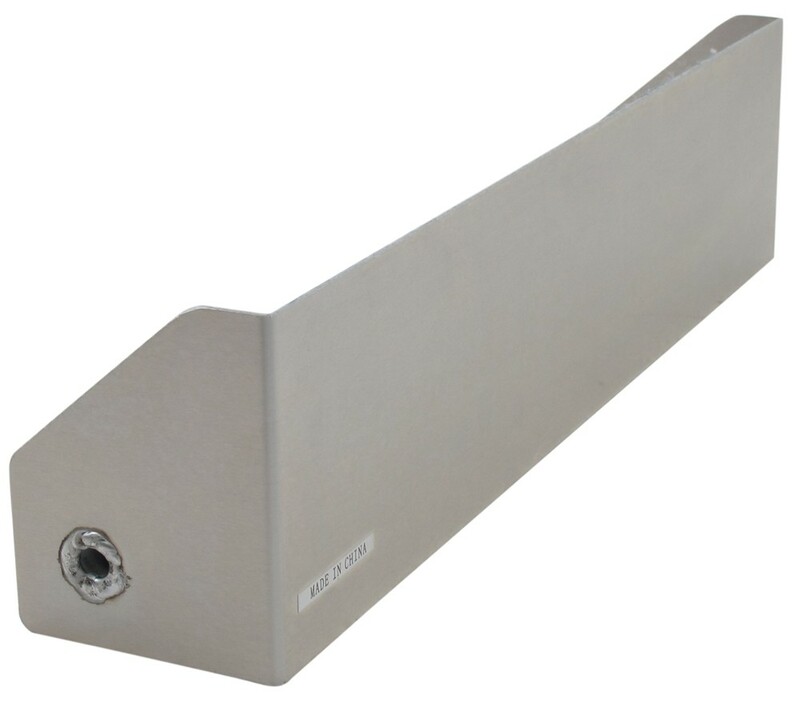 The 9/16" diameter bar provides a sturdy hanging point for virtually any kind of strap or hook. 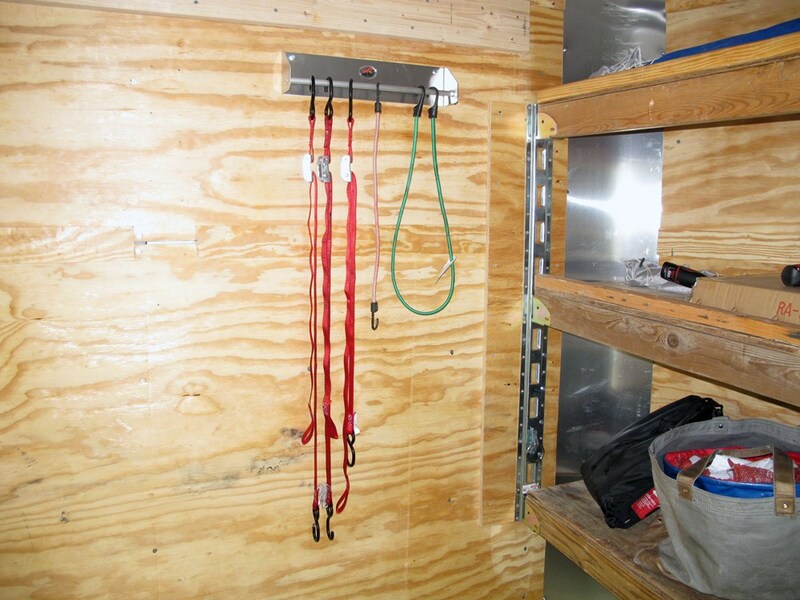 Do you have a question about this Trailer Cargo Organizer? Highest quality trailer cargo organizers for the best price. Our Lowest Price Pledge ensures you will never overpay for the parts you need. We make sure that the products we sell are what we say they are, and that they work the way they are supposed to work. Get real advice from a real person who has the knowledge and expertise needed to solve your problem. Most detailed, accurate trailer cargo organizer information available. Because we take providing accurate product information seriously, we take our own detailed product photos, demo videos and installation videos, as well as verify measurements, instructions, and vehicle fit information. We love helping people and have the most highly-trained customer service, hands-on experience, step by step videos and installation instructions. Your order is automatically routed to get out of our warehouse and to your door as quickly as possible. Receive free shipping on orders over $99. We provide one-on-one, personalized service from the ordering process through the life of your product. We've been serving customers since our parts store first opened in 1946 and continue to be recognized by our customers, our vendors and third parties for exceptional service. Need to return an item? No problem. Please read our Returns Policy for more information. At etrailer.com we provide the best information available about the products we sell. We take the quality of our information seriously so that you can get the right part the first time. Let us know if anything is missing or if you have any questions.